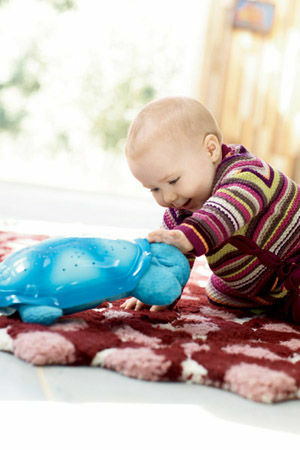 Your baby will enjoy these playthings that feature basic shapes and shades. The wooden balls on Haba's Magica Clutching Toy, $11, are easy for little hands to grasp, while their bright colors will hold her gaze. Newborn and older. Crafted from 100 percent sustainably harvested wood, the Kid O Recognizing Shapes puzzle, $15, features a square, triangle and circle with easy-to-grasp knobs. 12 months and older. 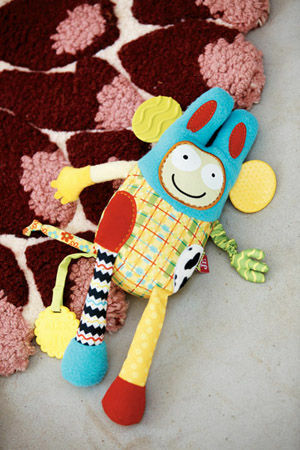 Your baby can mix and match the tops and bottoms of the colorful Boon Creatures, $14. 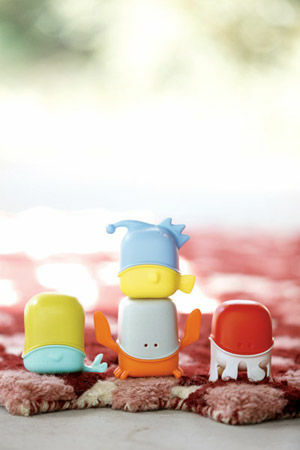 The fish-inspired tub toys are also BPA-, PVC- and phthalate-free. 9 months and older. 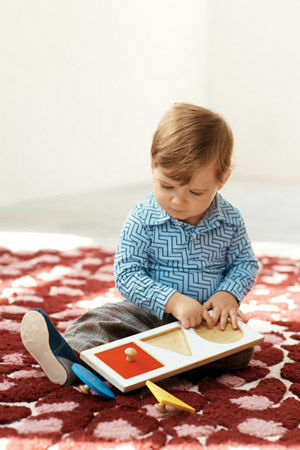 The tactile fabrics on the Manhattan Toy Shake-A-Shape Set, $22, feel good to little hands. Plus, each soft shape has a jingle ball or squeaker inside. 3 months and older. 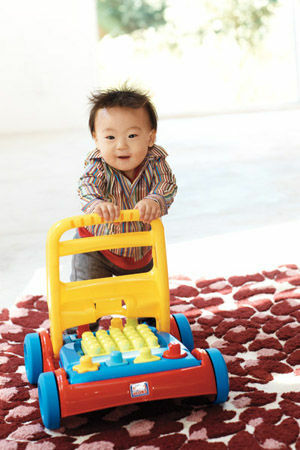 The Mega Bloks 3-in-1 Build 'N Go Walker, $25, folds flat for stacking blocks of all shapes. For walking mode, flip the handlebar upright and snap into place. 9 months and older. 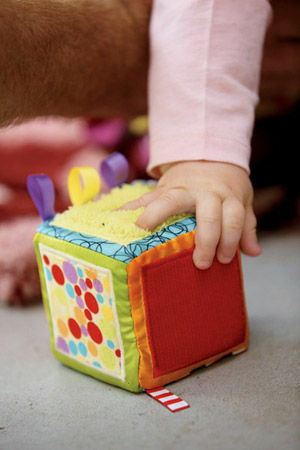 Your baby will hear one of eight different sounds when you roll, toss or bounce the soft and bumpy Lilliputiens Musical Humps Ball, $30. 6 months and older. 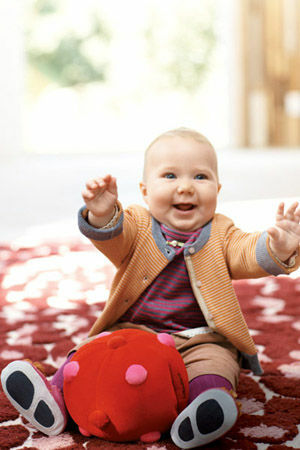 The eye-catching colors and patterns on Mix n' Max from ALEX, $17, will draw your baby's attention. Textured details will keep her holding on tight. Newborn and older. Older babies will feel accomplished when they match the six wooden fish shapes to the correct colored and sized slot in the P'kolino Fishing Hole Size Sorter, $25. 6 months and older.